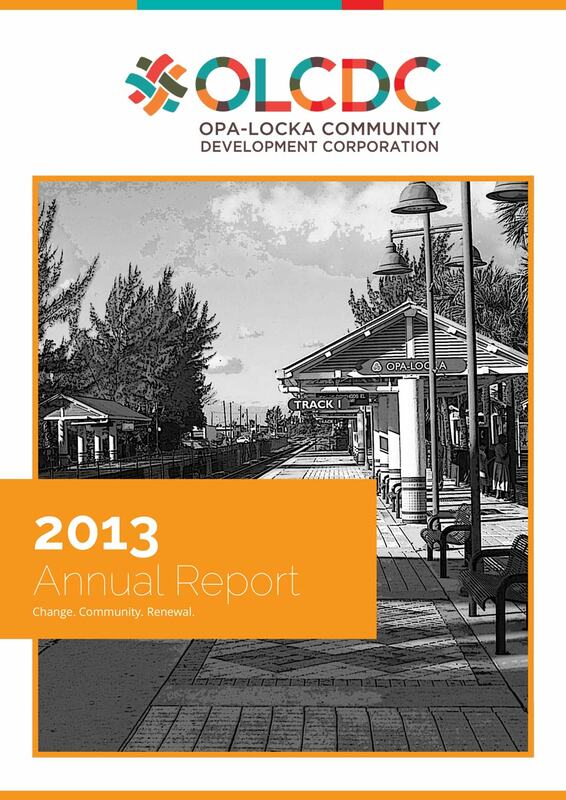 Designed by the landscape architecture team of Anwar Morales, Rudolf Uhlemann, and Roberto Rovira , Opa Locka’s Magnolia North Park won a 2014 APA Florida Award of Excellence in the Grassroots Initiative category with the entry “From Pop-Up to Permanency: Opa-Locka” submitted by the Opa Locka Community Development Corporation (OLCDC). Innovation – Introduction of an original concept or a refinement of an existing technique or procedure. Transferability – Potential applicability in other areas of the state or to other planning projects. Quality – Excellence of analysis, writing, graphics and character of presentation. Implementation – Effectiveness of the work – i.e. proposals have been carried out or show promise of being carried out in the near future. 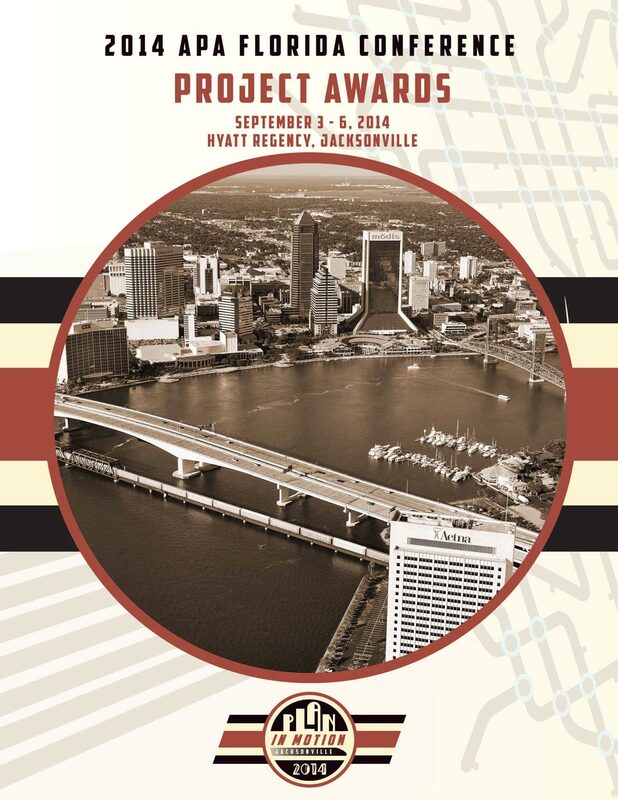 Comprehensiveness – Planning principles have been observed, especially in considering a project’s effects on other public objectives and the surrounding environment. 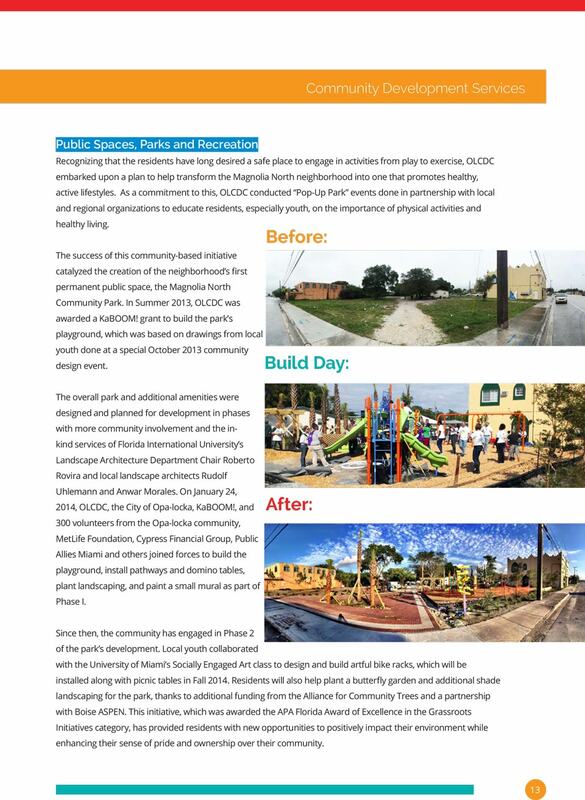 On January 24, 2014, OLCDC, the City of Opa-locka, KaBOOM!, and 300 volunteers from the Opa-locka community, MetLife Foundation, Cypress Financial Group, Public Allies Miami, FIU American Society of Landscape Architects Student Chapter and others joined forces to build the playground, install pathways and domino tables, plant landscaping, and paint a small mural as part of Phase I. 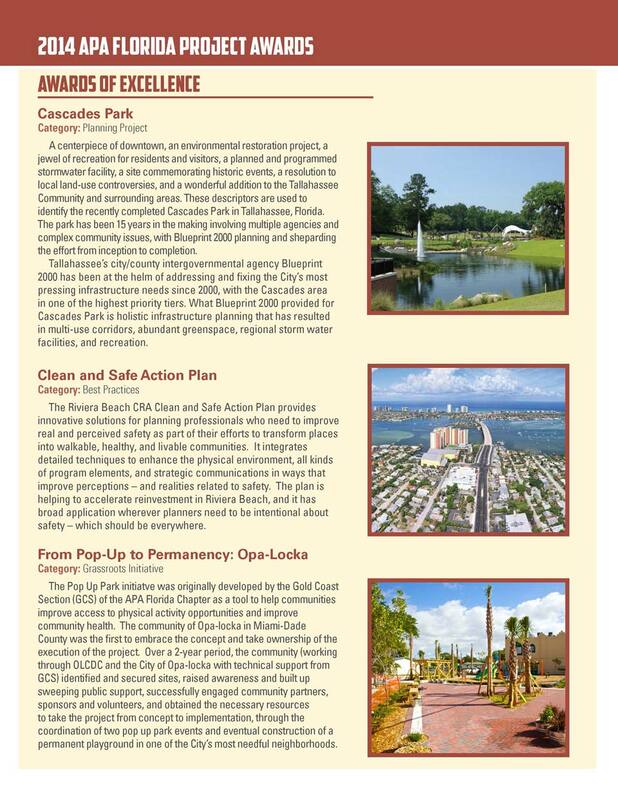 Since then, the community has engaged in Phase 2 of the park’s development. 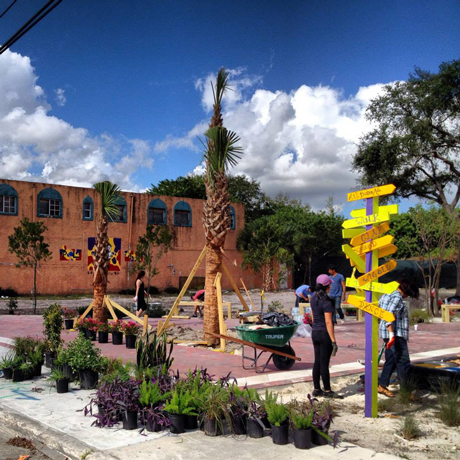 Local youth collaborated with the University of Miami’s Socially Engaged Art class to design and build artful bike racks. The Phase 2 installation, completed in October 2014, included the planting of a butterfly garden, picnic tables, and additional shade landscaping for the park thanks to additional funding from the Alliance for Community Trees and a partnership with Boise ASPEN. 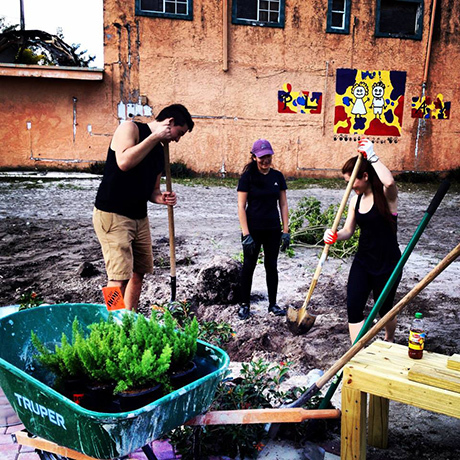 A large, approximately 50ft x 20ft mural by VA Collective, an FIU student-led creative group comprised by FIU Landscape Architecture + Environmental and Urban Design and Architecture students, will be part of the west wall of the project site. Read more in the Portfolio Page.